Contour has this week unveiled a new addition to their range of waterproof action cameras which is now available to buy, in the form of the newly launched ROAM3 action camera. The ROAM3 has been specifically designed to be waterproof and is capable of withstanding the pressures of water in depths of up to 30 feet without the need for an additional case. 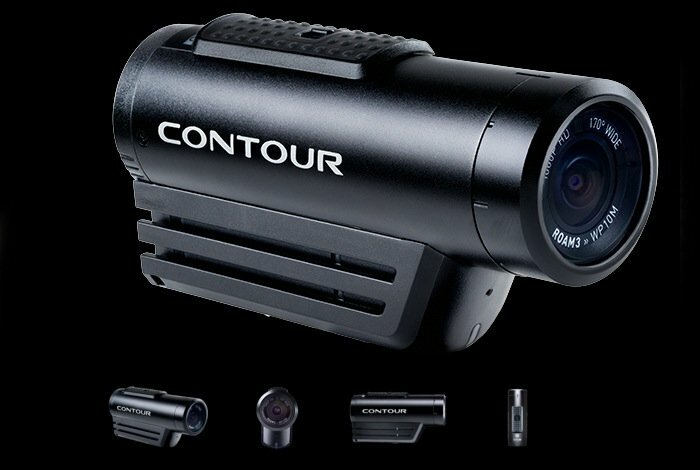 Contour has equipped their new waterproof action camera with a 270 degree rotating lens, laser alignment and a sensor that is capable of recording 1080p HD video footage @ 30fps or 720p video at 60fps. Other features of the new Contour ROAM3 waterproof action camera include a built-in rechargeable battery providing up to 3.5 hours of power, together with a handy lockable instant-on record switch and a Quick Photo mode offering 5 megapixel images. Together with a 170 degree wide angle lens to make sure you capture all the action. Check out the video below to learn more about the new Contour action camera from Niccolo Porcella. “The World’s “Easiest-to-Use” Action Camera. The Contour ROAM3 is perfect for year-round adventures, whatever the terrain. Switch easily between Photo and Video Mode, so easy you can do it with your eyes closed. The Contour ROAM3 is now available to purchase in the US for $200 which includes an 8GB memory card together with two useful mounts. Check out more over on the official Contour website.